Home / Astronomy / Effects / NASA / Physics / Science / NASA Crew Live Comment On UFO: "The Object In Question Just, UH, Passed Off The Nose Again"
NASA Crew Live Comment On UFO: "The Object In Question Just, UH, Passed Off The Nose Again"
On the 9th of September, Space shuttle Atlantis was launched towards the international space station for the STS 115 mission. During the 13 day mission, there was a lot of UFO activity. And we are not talking about rumours or " I heard it through the grapevine" type of reports. During the mission NASA broadcasted several hours of live downlink feed coming directly from space shuttle Atlantis. 2 UFO incidents stand out, because you can hear the space shuttle crew and ground control communicating about these mysterious objects. 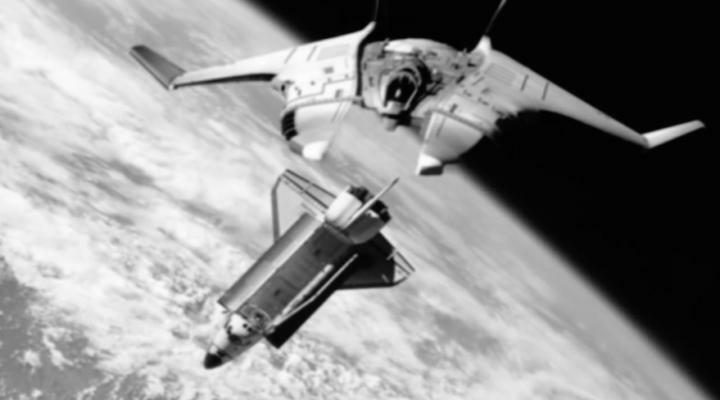 The first incident happened on the 19th of September when the crew filmed an object flying between the space shuttle and earth. You can hear someone at ground control talking about the object telling the astronauts that they will keep a close eye on it. The object itself is filmed and it looks like it's following the crew in space. The second sighting happened on the next day. The incident was captured with 2 different cameras. You can hear one of the astronauts stating that "the object in question just, uh, passed off the nose again". Why would he use the word "Again". Maybe this wasn't the first time they encountered the strange alien object? During the second sighting 4 UFO's appear right in front of the Atlantis space shuttle. Who knows what conversations take place once the live broadcast stops...?